COLIN FRAKE is a Blacksmith and Block Maker. His blocks are found around the world and are works of art as well as robust components of the rigging of a huge number of traditional vessels in the UK and abroad. Colin also runs the moorings at the Quay. 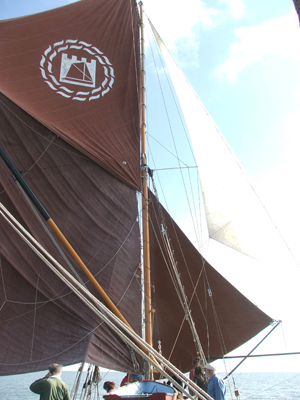 SIMON GRILLET is a well established shipwright with experience of building and restoration of all types of sailing craft ranging from Fife racing yachts (worked on 14, totally rebuilt 2) to Thames Barges and major structural restoration of a 100ft ,100 year old canary island fishing boat . 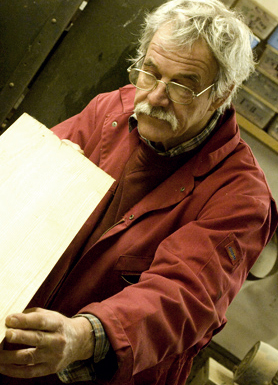 In 2009 Simon began work with Standard Quay Shipwrights, tutoring 4 apprentices. 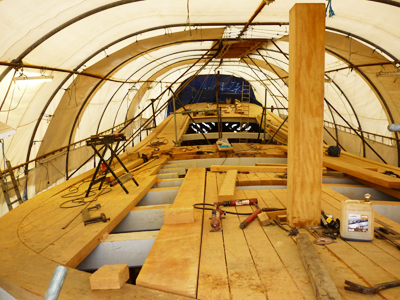 Shipwright TIM GOLDSACK also has his workshop at Standard Quay and is currently working on the restoration of the SB Cambria. 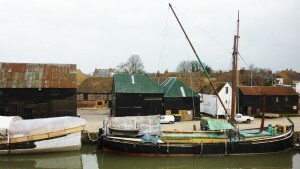 He has undertaken a number of other restoration projects at Standard Quay and other projects on Thames Barges all around the South East notably the restoration of SB Dawn. He owns and sails SB Decima.